It’s not often I talk about myself or my food allergy story on my blog. After almost 10 years being dairy free, I still find it hard to talk to people I have known all my life about what it is like living with a life threatening dairy allergy… as often these people have known me eating dairy and clearly I survived then! But as this is the 100th (!!) post on my blog, I thought it was about time I added another voice to the ongoing allergy awareness community. 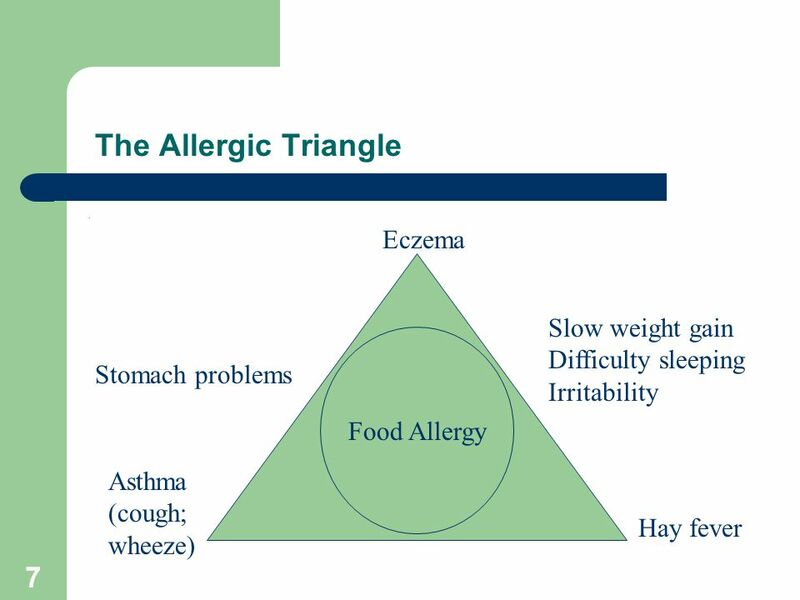 Almost 10 years ago I saw a doctor who connected the dots (severe asthma, eczema into adulthood and a poor immune system) and asked that I consider that a food might be causing my symptoms. We decided to try cutting out milk for a few weeks to see what happened, and, miraculously, everything improved beyond belief and I felt so much more like myself, happy and filled with energy, then I think I ever had. But now I have a life threatening allergy to dairy. Only two and a half years ago I had this confirmed by the allergist as milk finally came up on my skin prick tests and blood work, despite having known for a long time after cutting it out that when I came into contact with milk my tongue and throat would swell. That appointment was a mix of emotions – but perhaps the one that overrode them all was elation. At finally, finally, having the medical proof to show what I knew was happening. And then the fear kicked in. For a long time before my formal diagnosis I had managed on being careful and relying on quick administration of liquid antihistamines to tamper any reaction. Now, I had epi-pens. At once life saving and terrifying; I felt it was just my fear of needles that made me nervous but, looking back, I was much more scared of the thought that my allergic reactions felt so out of my control. It was a wake up call that I needed to accept my situation, and made me realise that perhaps there was more I could do to avoid needing to use them. Where this becomes difficult is when food is not under my direct control. A few months ago an episode of Rip Off Britain (not my usual choice but I was intrigued as I knew it featured food allergies) highlighted how common the issues I face eating out are. As they said, I am unavoidably putting my life into someone else’s hands when I eat food I have not prepared. I am trusting that they have checked all the ingredients, and the ingredients of ingredients. That they have cleaned a work station properly and used fresh pans and cutlery before cooking my meal. That they have done everything possible to make this meal safe for me, if they told me they could accommodate my allergy. The episode made me feel both better and worse. One section featured a young boy and his mum having a giggle about having to educate restaurant staff that cheese and butter contain milk. It sounds unbelievable, but is horrifyingly accurate in my experience. Whilst nice to know I’m not alone, it is terrifying when you think about the consequences when it goes wrong. One part of the episode focused on just that with a story about Amy May, who suffered a life altering anaphylactic shock four years ago at age 26 to a tiny bite of nut containing food in Hungary. Amy was resuscitated but suffered from brain damage, and now lives life severely disabled. Amy, at 26, had suffered from a nut allergy all her life, and had checked with the restaurant verbally and with translation cards that the food she ate was nut free. Amy’s parents never got to the bottom of exactly what was in the food, as the incident happened 3 months before the new EU legislation came into place. Now, even though we see a spate of heavy fines and jail terms being placed upon restauranteurs for a cavalier attitude to food allergies after an incident, still the problems persist. After the episode a lot of people commented that they thought that people with severe allergies should just not eat out and accept their limitations. And whilst to a point I do actually agree – I have no problem with being told I can’t be catered for, or being given a very selected menu of things to choose from – the real issue is that restaurants often don’t take the time to check what you are really asking, and just keeping telling you that it is fine to eat. And whilst there are issues like this with restaurants, it becomes another way that food allergies are incredibly alienating for both adults and children. Especially in adult life, it is not always possible to avoid eating out of the house. Weddings, work events, travel, birthdays, nights out can all be anxiety inducing incidents when eating out is out of your control and unavoidable. I’m lucky perhaps to have had some great experiences to balance out the not so good. I have a local Thai restaurant where I know I can eat safely. I have wonderful friends and family who go out of their way to make sure the food I eat at their house or out and about is safe. I had an amazing experience recently away on a work trip where the management of a hotel could not have been more helpful in making sure food was safe for me – they even changed the wine on all the tables to ensure it did not contain milk and there were no mix ups! These experiences prove that with the right care and caution it is possible to cater for most people with severe food allergies, restaurants just have to be willing to work with the customer to see what can be done to make food safe. With the prevalence of allergies rising, I hope that in the years to come things will get better for the allergy community. I hope that people will be more understanding, will see and understand the difference between cutting something out for choice and cutting something out for a life or death reason. I hope that the people who make negative comments never have to experience living with a food allergy. I hope that more restaurants, cafes and caterers will take the time to learn from those establishments leading the way in allergy food management. I hope I am able to be part of this change, in any small way that helps. Whoops. It’s been quiet here for a very long time. Where have the months gone?! Our family expanded with the addition of our beautiful puppy Arlo, and he certainly has been keeping us busy. Whilst running a business, working part time, and looking after a pup, finding time to blog has been hard; not only do you need time, you also need significant surface area (read… the floor!) to photograph the bakes which has been challenging with an inquisitive puppy! My plan for 2018 was to post at least 1 new recipe a month… safe to say that being in March already, it hasn’t gotten off to a good start! But that being said I already have a few recipes in the pipeline for you ready to go. For now you’ll still see a heavy vegan influence on my blog. My first attempt at reintroducing eggs was not much of a success, so for now I’m still egg free. That being said, I’m winning more and more every day at creating vegan bakes, so I feel like I’m missing out less and less. All that said, here is my recipe for a vegan lemon drizzle. It might not be the fanciest of bakes, but I love a good, punchy lemon cake and it’s something I’ve really missed since going egg free. This recipe is loosely based on a basic cake recipe in Ms. Cupcakes Naughtiest Vegan Cakes In Town book. As I’ve said before, I can’t recommend this book highly enough for anyone starting out with vegan baking. This cake is light, fluffy, delicious and smack-you-in-the-face lemony. What’s not to like?! Vegan scones; this recipe proves they can be just as light and delicious as their dairy and egg filled counterparts! Oh, scones. I’ve waxed lyrical on here before about my love of scones, and since having to cut out eggs, they’ve been something I’ve really missed. I honestly was not convinced that this would be possible, but after a bit of trial and error I’m so happy to say that scones are back in my life! I’ve been egg free now for almost 4 months, after first cutting them out to see whether my eczema improved. Sadly.. (or luckily, I suppose, depending on which way you look at it!) my eczema is doing so much better without eggs, so I think they’ll be gone for good. Although this has presented more than the odd food challenge, it’s wonderful to have something to aim for again – winning the battle of egg free baking and making sure these recipes are just as delicious. Having scones back in my life has been a huge plus recently, and it has been encouraging me to go after some of the other bakes I don’t think are possible without eggs, like brownies. Whilst the brownie recipe might still be work in progress, this scone recipe is complete. Light, fluffy and flavoursome, just begging for some dairy free butter and jam, these are perfect and a great bake to have up your sleeve for the dairy and egg free person in your life! The best thing? You’ll have the ‘normal’ eaters loving them too! Moist, delicious chocolate and nut banana loaf. A play on the usual banana bread by adding chocolate, this has turned something a little over-done into something a little magical. I do love a banana bread cake, but recently I’ve been trying to improve my diet a little (being at home now with all these cakes is definitely starting to take it’s toll on my waist line…Safe to say my jeans are feeling a little more snug than they used to!). So when I fancied a sweet treat, that was only a little bit naughty, I saw I had two lone and blackening bananas. Well, at that point it was obvious what I fancied, but I also was really wanting something chocolatey. So out of the oven 45 minutes later came this amazing Chocolate Walnut Banana Loaf! This is a fabulous Vegan recipe, that it doesn’t matter if you’re vegan or not – you’ll love it. It’s sweet, but not too sweet with the bitter walnuts. It’s chocolatey, but not so much that you can’t taste the banana. And it’s banana-y without being overbearing. In my book, it’s just perfect with a cup of tea for a mid-afternoon pick me up. If you can leave the walnuts in, do. If you can’t (or would prefer to remove them), add in 10g less of sugar. The walnuts give lovely texture to the otherwise quite soft and moist loaf; but crucially they also take away some of the sweetness with their lovely bitter flavour. This is a quick mix in two goes recipe. The most involved part is smashing up the bananas which you can put as much or as little effort as you like into. Or, why not get some small hands involved? This would be a great recipe to make with little children with a little bit of adult supervision.